Juvenile Law: How can I gain custody of my children if they have been removed by children services? March 20, 2012 /in Family Law, Juvenile Law, Other Law Topics /by Daryle C. Tibbs Esq. Juvenile Law: How can I regain custody of my children if they have been removed by children services? https://tibbslawoffice.com/wp-content/uploads/2011/07/Family-Law-Keyboard-110717-sm.jpg 267 400 Daryle C. Tibbs Esq. https://tibbslawoffice.com/wp-content/uploads/2016/02/logo-300x74.png Daryle C. Tibbs Esq.2012-03-20 08:00:002019-01-06 15:01:26Juvenile Law: How can I gain custody of my children if they have been removed by children services? 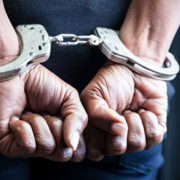 Juvenile Law: My child has been charged with being unruly, what does that mean? March 17, 2012 /in Family Law, Juvenile Law, Other Law Topics /by Daryle C. Tibbs Esq. https://tibbslawoffice.com/wp-content/uploads/2011/07/Family-Law-Keyboard-110717-sm.jpg 267 400 Daryle C. Tibbs Esq. https://tibbslawoffice.com/wp-content/uploads/2016/02/logo-300x74.png Daryle C. Tibbs Esq.2012-03-17 08:00:002019-01-06 15:02:34Juvenile Law: My child has been charged with being unruly, what does that mean? Juvenile Law: Do I still have to pay child support if I reconcile with the child’s custodial parent? March 14, 2012 /in Family Law, Juvenile Law, Other Law Topics /by Daryle C. Tibbs Esq. https://tibbslawoffice.com/wp-content/uploads/2011/07/Family-Law-Keyboard-110717-sm.jpg 267 400 Daryle C. Tibbs Esq. https://tibbslawoffice.com/wp-content/uploads/2016/02/logo-300x74.png Daryle C. Tibbs Esq.2012-03-14 08:00:002019-01-06 15:03:44Juvenile Law: Do I still have to pay child support if I reconcile with the child's custodial parent? Juvenile Law: My child is under the age of 18, can he/she be emancipated? March 9, 2012 /in Family Law, Juvenile Law, Other Law Topics /by Daryle C. Tibbs Esq. https://tibbslawoffice.com/wp-content/uploads/2011/07/Family-Law-Keyboard-110717-sm.jpg 267 400 Daryle C. Tibbs Esq. https://tibbslawoffice.com/wp-content/uploads/2016/02/logo-300x74.png Daryle C. Tibbs Esq.2012-03-09 09:00:002019-01-06 15:04:35Juvenile Law: My child is under the age of 18, can he/she be emancipated? March 7, 2012 /in Original Posts, Real Estate Law /by Daryle C. Tibbs Esq. If you are like me, you are in the midst of the tax preparation haze. I became an attorney with the hopes that my business would be that of the written word and I would never have to complete another math problem for so as long as I live. As it turns out, the government has other ideas. Each year we are forced to gather paperwork, receipts, and get out calculators, while we lament about how little we earned and how much of that we owe to the government so that it can carry on with programs that we don’t benefit from or don’t believe in. I dislike tax preparation, not only because it is tidious, but also because it requires us to review the events of the last year, which in turn requires us to assess whether we achieved our goals. After finishing my taxes and assessing the year, I consider 2011 to be a success for me individually, but to be fair, my expectations and living requirements were much lower than the average American. Due to the disappointing economy, approximately 1,334,663 foreclosures were filed in 2011 and that does not include the sizeable number of short sales that occurred. What many Americans don’t realize is that in years past, if your house was foreclosed on, or you sold your house for significantly less than what you owed in a short sale, you were required to pay the full deficiency amount. Due to current conditions, the lending institutions have rarely required this; however, you were still required to pay income taxes on any deficiency that was cancelled by the lending institution (because the cancellation of a debt is considered income). In many cases, this could result in a tax bill of $50,000 or more. Luckily, for those Americans in this sitation, Congress enacted the Mortgage Forgiveness Debt Relief Act. Congress enacted this bill in 2007, as a result of the declining economy. The Mortgage Forgiveness Debt Relief Act allows you to exclude certain cancelled debt on your principal residence from income. Debt reduced through mortgage restructuring, as well as mortgage debt forgiven in connection with a short sale or foreclosure qualifies for relief. The relief is only in effect through 2012, so if you have considered these options or are considering these options, you need to act fast to qualify. If you need tax preparation help, you may call my office for a referral to a local, knowledgeable, friendly accountant. For more online resources from our firm, please subscribe to our Youtube Channel at: www.youtube/tibbslawoffice.com, www.youtube.com/tibbslawofficeKentucky or go to our website at: www.tibbslawoffice.com. Juvenile Law: My child has been charged with delinquency, what does that mean? 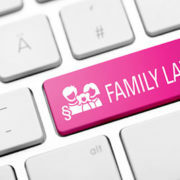 March 7, 2012 /in Family Law, Juvenile Law, Other Law Topics /by Daryle C. Tibbs Esq. https://tibbslawoffice.com/wp-content/uploads/2011/07/Family-Law-Keyboard-110717-sm.jpg 267 400 Daryle C. Tibbs Esq. https://tibbslawoffice.com/wp-content/uploads/2016/02/logo-300x74.png Daryle C. Tibbs Esq.2012-03-07 09:00:002019-01-06 15:06:10Juvenile Law: My child has been charged with delinquency, what does that mean? Juvenile Law: What is a Guardian Ad Litem? March 2, 2012 /in Family Law, Juvenile Law, Other Law Topics /by Daryle C. Tibbs Esq. Daryle C. Tibbs, owner of Tibbs Law Office, begins a new series dedicated to the topic of Family Law. https://tibbslawoffice.com/wp-content/uploads/2011/07/Family-Law-Keyboard-110717-sm.jpg 267 400 Daryle C. Tibbs Esq. https://tibbslawoffice.com/wp-content/uploads/2016/02/logo-300x74.png Daryle C. Tibbs Esq.2012-03-02 09:00:002019-01-06 15:07:30Juvenile Law: What is a Guardian Ad Litem?